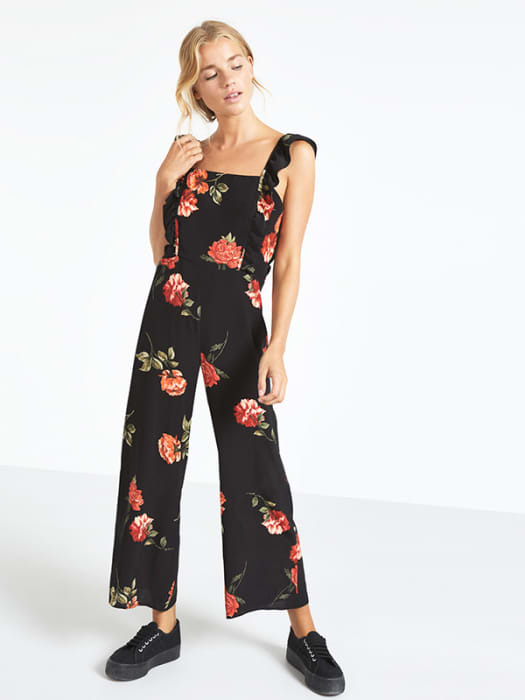 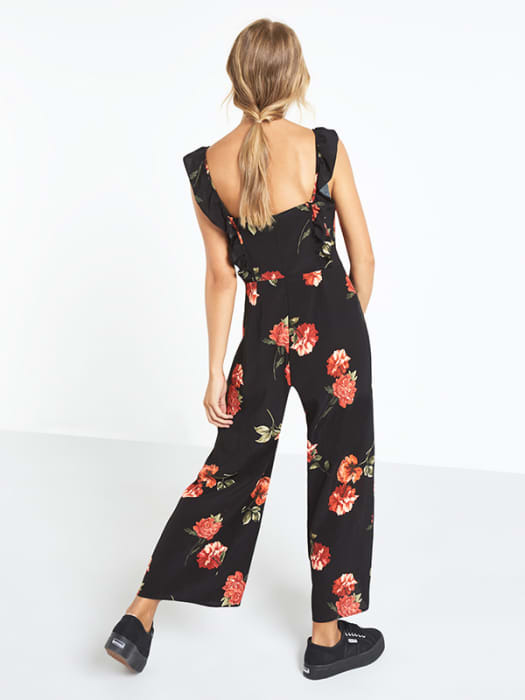 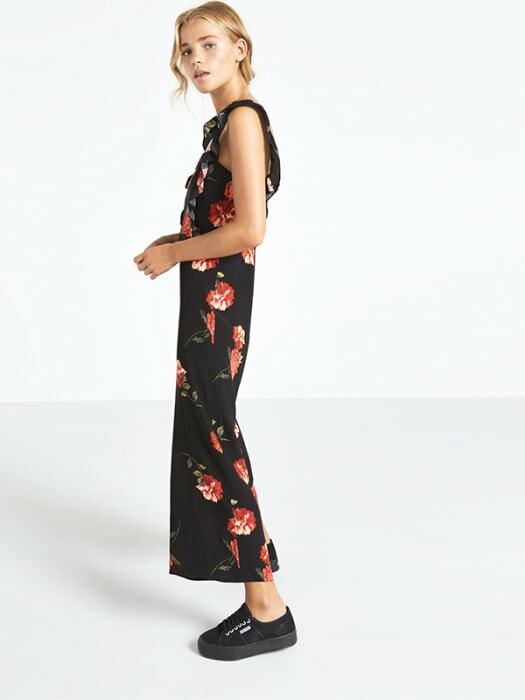 Ruffles and roses collide in this black wide leg jumpsuit. 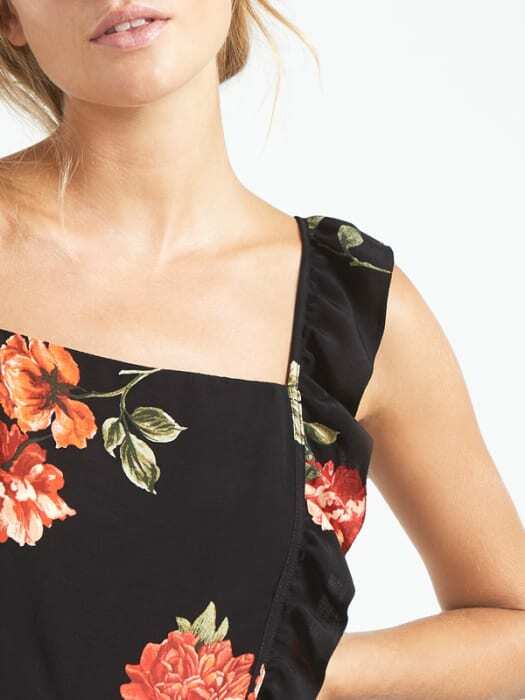 The last word in style staples - thanks to its do-it-all shape and ultra-wearable colourway – we’re talking dawn-to-dusk 101. 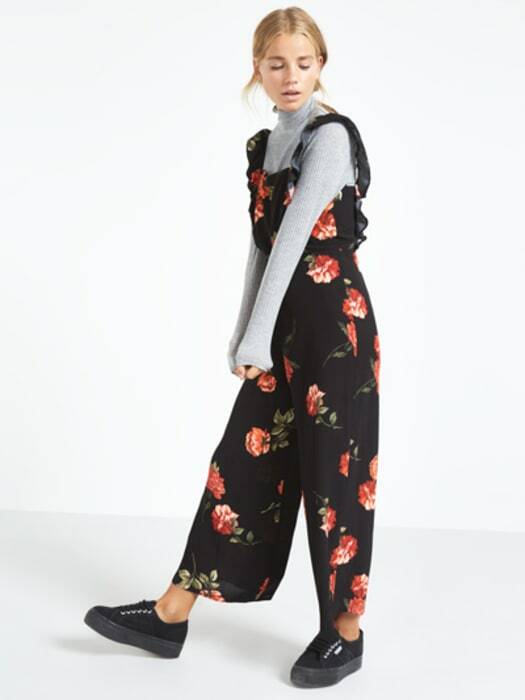 Think trainers by day, heels for play, and shrug a leather jacket overtop as evening cools.